In retablo art Mary is crowned with roses and in this piece they are held in her left arm as well. The Virgin has been called a “rose without thorns” or a “lily among thorns” to symbolize her purity and exemption from the sins of the world. Hence, the lily is considered to be the Virgin’s flower. 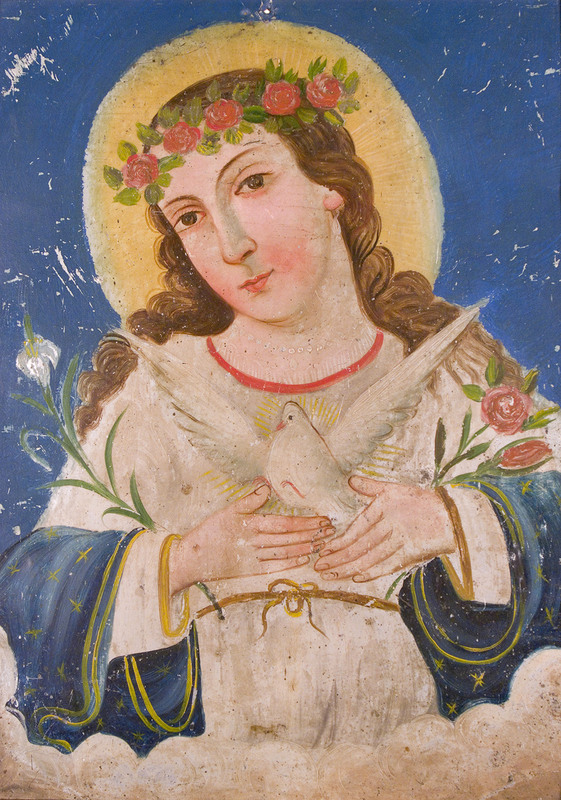 In addition to the symbolic lilies, is the dove, which represents the Holy Spirit.